Heidi E.Y. Stemple didn’t want to be a writer when she grew up. In fact, after she graduated from college, she became a probation officer in Florida. It wasn’t until she was 28 years old that she gave in and joined the family business, publishing her first short story in a book called Famous Writers and Their Kids Write Spooky Stories. 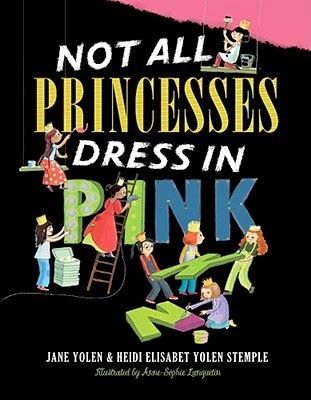 The famous writer was her mom, author Jane Yolen. Since then, she has published 20 books and numerous short stories and poems, mostly for children. Recently, her brothers, Adam and Jason Stemple, her mom, and Heidi all collaborated on a non-fiction book called Animal Stories published by National Geographic. Every December, Heidi leads an owling team for the Audubon Christmas Bird Count--a national census that is run locally by bird clubs. They get up at midnight and venture out into the woods to call owls. In 2012, the OMG (the Owl Moon Gang, as they call themselves) counted 67 owls in one night. If this story sounds familiar, it's because the book Owl Moon is about Heidi and her Dad. 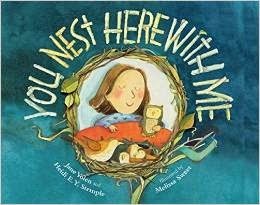 Her newest book, You Nest Here With Me, co-authored by her mom and illustrated by the fabulous Melissa Sweet will be available in the spring. It took 12 years to get You Nest Here With Me published. Everyone involved thinks it was worth the wait. Heidi is not an artist. But, she does sew. When choosing her Dot materials, she decided to use felt, buttons, ric rac, and thread only. 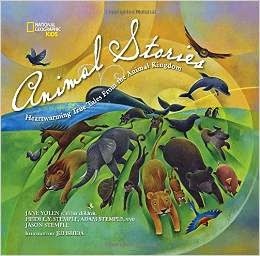 Animal Stories is a collaboration of Jane Yolen and her three adult children and is delightfully illustrated by Jui Ishida.It contains a gathering of 19 moving stories from around the globe from the years 350 BC to 2012.Some of the stories are new to me and others are more accurate versions of familiar stories.It is an exceptionally fascinating and heartwarming book that any child will love.